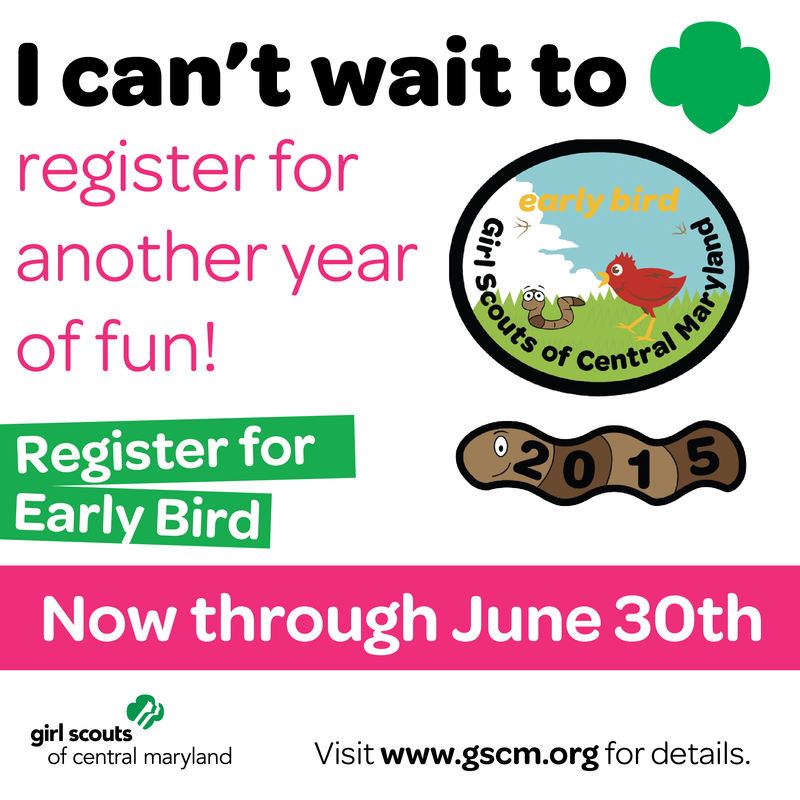 The Early Bird Catches the Worm: Registration for 2015 is Open! The troop will earn an extra five cents per box of cookies sold in the fall. Each girl will receive the 2015 worm rocker. New girls will receive the Early Bird patch and rocker. We will be offering trainings for online registration that are open to anyone. are at the GSCM Urban Program & STEM Center. There will also be laptops and staff at the annual meeting and the Big Outdoors Event ready to assist you with logging in, registration and any other online issues you may be having.